We are actively engaged in manufacturing and supplying qualitative assortment of Pick & Carry Hydraulic Mobile Crane, Roll Forming Machine, Curving Machine, Hydraulic Bending Press Machine, etc. These are manufactured using optimum quality raw material and latest technology. The offered range is designed with high precision in order to meet the set international quality standards. Owing to their high quality, durability, sturdiness, excellent performance and reliability, these are highly acknowledged by patrons all across the nation. In addition to this, we also offer Custom Fabrication Service to our precious clients in committed time frame at rock bottom prices. 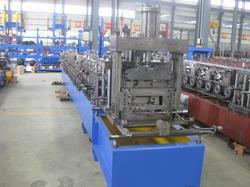 We are highly renowned manufacturer, exporter and supplier of a wide range of Roll Forming Machine. It is manufactured by our professionals using quality approved components that is procured from the reliable vendor of the market, in compliance with international quality standards to ensure flawlessness at users’ end. This machine is quality tested and is offered in various technical specifications and can be availed in bulk quantities. Clients can avail offered machine from us at most economical price. With our rich industry experience, we are engaged in manufacturing, exporting and supplying Curving Machine. 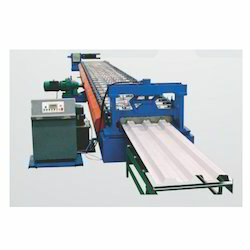 This machine is manufactured from premium grade raw material at par with international standards. 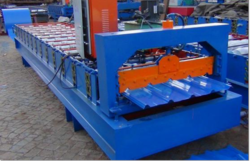 The offered machine is highly valued for its rigid construction, rust resistance, compact design and smooth performance. In order to ensure quality, it is stringently tested on various predefined parameters. Our valuable clients can avail this machine from us in bulk with top class packing. 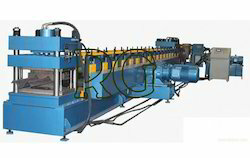 With rich industry experience and knowledge, we are engaged in offering a wide range of Highway Guardrail Roll Forming Machine. It is manufactured by team of adroit professionals using high grade components and current technology in compliance with market prevalent norms. Available in various specifications, this machine can be custom designed as per the needs the clients within promised time-frame. To deliver flawless range to the clients, our offered machine is tested on various predefined quality parameters by our quality experts. Our range of product inclusive of Roll Forming Machine, Sheet Curving Machine, Hydraulic Presses and C/Z Purling Machine. We are leading manufacturer and supplier of a collective range of Cold Roll Forming Machinery for roofing solution and other application. Our offered range are Overhead Crane, Prefabricated Shed and Highway Guardrail Roll Forming Machine. 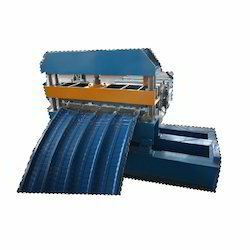 Purlin Roll Forming Machine comes into three types, C purlin, Z purlin cold roll forming equipment. Metal purlin forming machine includes hydraulic decoiler with Breaking Device, Leveler, Hydraulic Punching System, Pre Shearing System, Roll Former With Tooling, Hydraulic Cut-off Machine, Run Out Table And Automatic Stacking Device, and more.